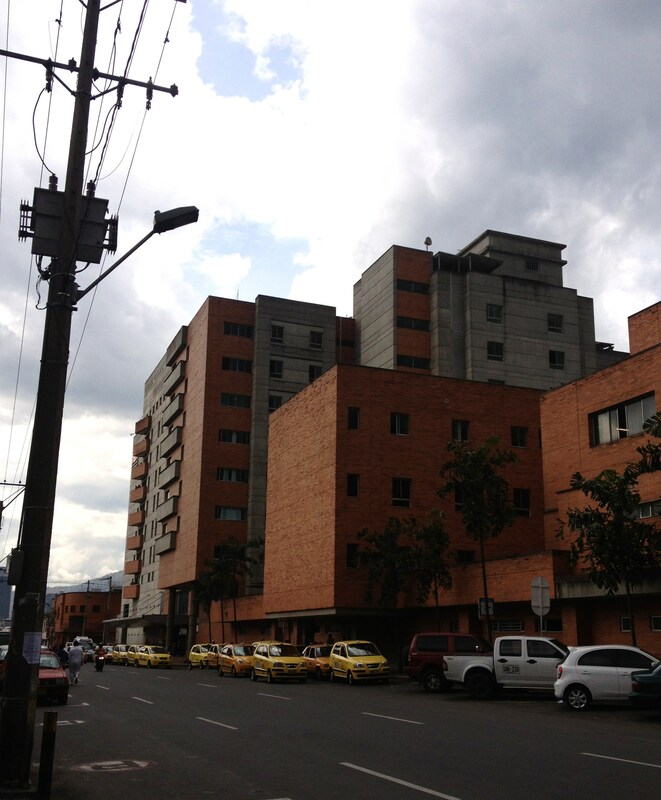 I spent the day yesterday at Hospital General de Medellin, and I am going back today for another visit. I’ll be revising and updating this post as I go along. I spend most of the day with Dr. Luis Fernando Meza Valencia and Dra. Elaine Suarez Gomez, but we will talk more about these two doctors in another post. Quite frankly, it is the nicest public facility I have ever been in, anywhere. The entire facility (and I was peeking in corners and closets) was spotless – and that included the operating rooms. 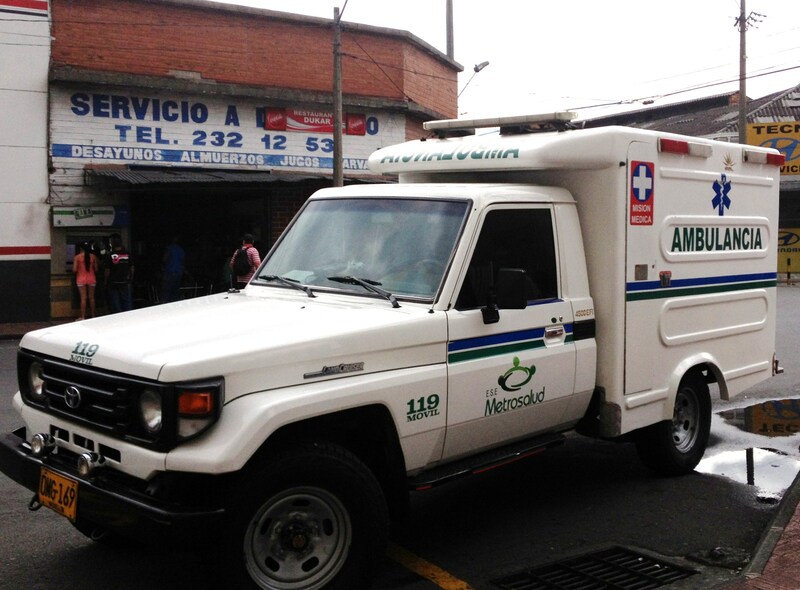 It’s the main trauma center for Medellin, and the largest public facility with a large well-coordinated ER. (The ER was quiet and orderly during my visit – despite being about half-full. Attached to the hospital is the ‘Consulta Externa’ where the doctors see their patients, along with a non-invasive cardiology clinic (echocardiograms, stress tests and the like, and laboratory. I have certainly missed several departments – as I passed auditoriums and several other departments during my visit, but all of the major elements are included above. There is no international patient division or department, but the website has a full English version, many of the physicians speak English (about half of the physicians I met), and they are very welcoming. The hospital, while busy was not as hectic or crowded as some of the other facilities I have seen in the past. I’ll be at Hospital General for multiple visits, so I will have plenty of opportunities to see if that changes. During my visit – Dr. Carlos Garcia, the Chief of Surgery was talking about the new obstetrics outpatient monitoring program along with several other services that are fairly uncommon for publicly funded hospital facilities. I only received the basics of the OB program (because OB is not really my area of expertise) but as Dr. Garcia explained – it’s an out-patient monitoring program for high-risk obstetrics patients. Patients are equipped with fetal monitors so that they can be in their own homes during much of their gestational period, instead of confined to the hospital. The monitors are reviewed continuously by the staff at Hospital General – and if there are any serious abnormalities or evidence of fetal distress, not only is the patient contacted – but an ambulance is automatically sent to bring in the patient for urgent/ emergent evaluation and treatment. 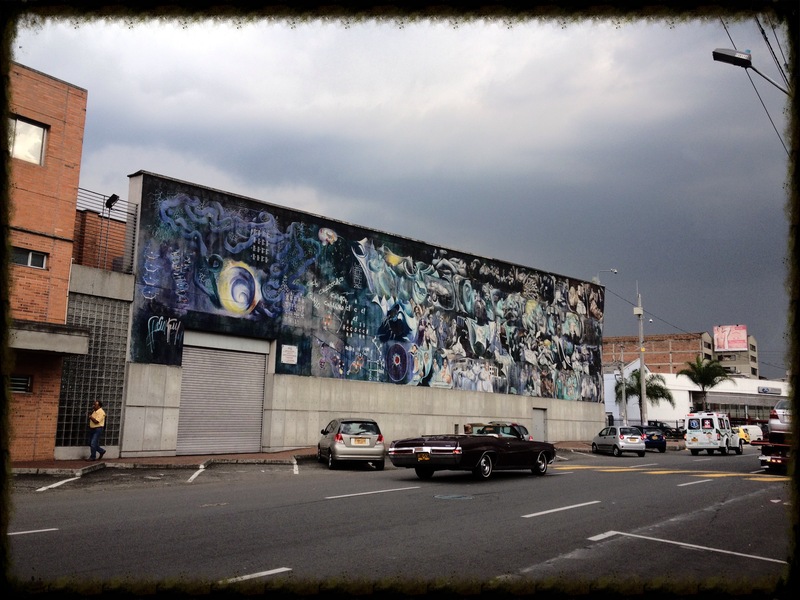 This entry was posted in Medellin and tagged Colombia, High risk obstetrics program, Hospital General de Medellin, Hospitals in Medellin, medical reviews, unbiased review of doctors. Bookmark the permalink.